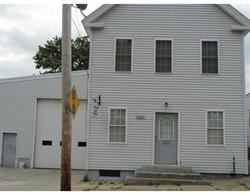 Listing Summary: Large garage area with office space. Zoned industrial. Majority of the building was rebuilt in 2004 from the ground up on the left side of the building. In 2004 the following items were upgraded windows, furnace, 200 amp electrical service, trusses installed, new roof, siding, walls insulated and sheet rocked. This building has a lot of storage to offer. There is a loft in the garage bay section, along with a basement. Garage door is 14 feet tall and approx. 35 feet deep. The first floor office has direct street access and offers 3 more offices on the second floor. There is also a cold storage area on the second floor approx. 552 square feet. 3/4 bath on the first floor. Second floors has an area set aside for another bathroom. Piping installed for 2 pellet stoves. Natural Gas in the street. City water and sewer. Easy access to the highway, Route 2. Very well constructed. Email tinalandryrealty@gmail.com to schedule a showing.